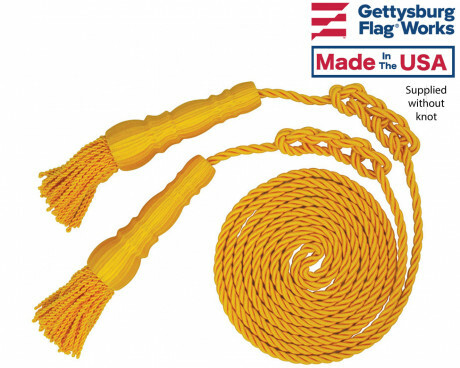 At Gettysburg Flag Works, we offer everything flag related to make your marching unit stand out from the crowd at this years' parade! 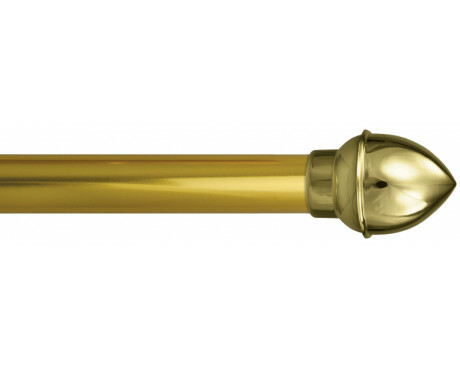 We've been working with marching units for over 20 years. 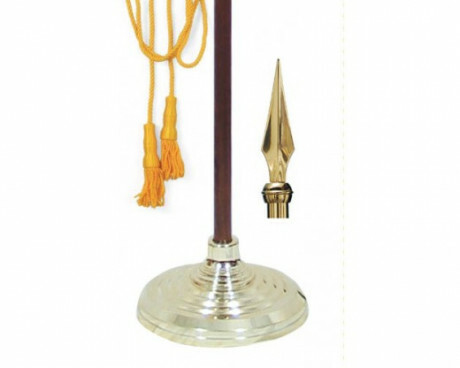 We understand the type of lead banner that a school marching banner wants to carry, and how it differs from the more stately banner carried by the color guard of the local police department. 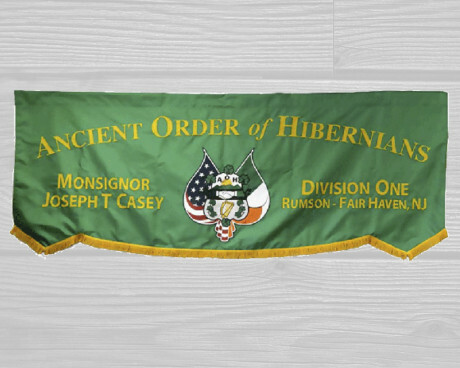 We've printed, sewn or embroidered presentation flags to be carried in every parade from New York City to San Francisco and beyond. 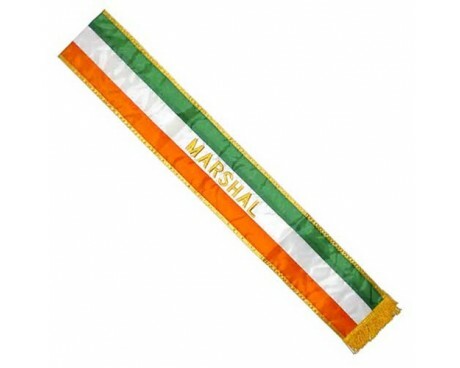 Our St. Patrick's Day parade sashes have even been worn in procession IN IRELAND. 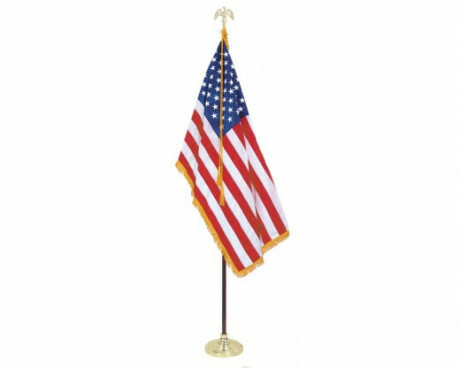 We are honored to help your group with the perfect flag display too. 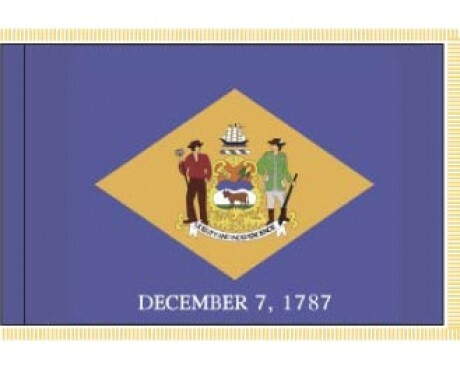 Get ready though, you are sure to be asked where your flags came from. 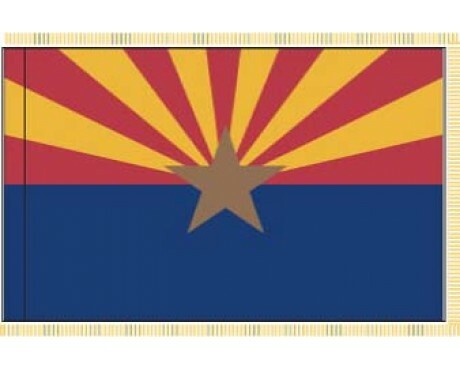 They will be the most beautiful flags in the whole parade! Gettysburg Flag Works offers a full line of parade flags for cars and motorcycles. 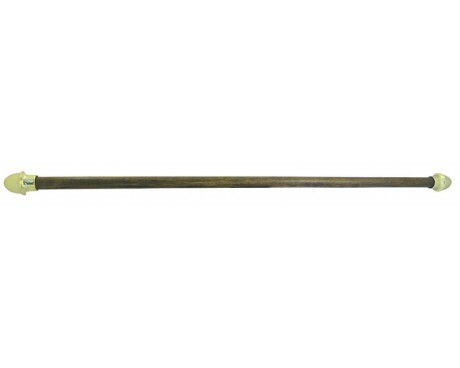 Car flags are either mounted to the antenna, rolled up window, or fender of the car. 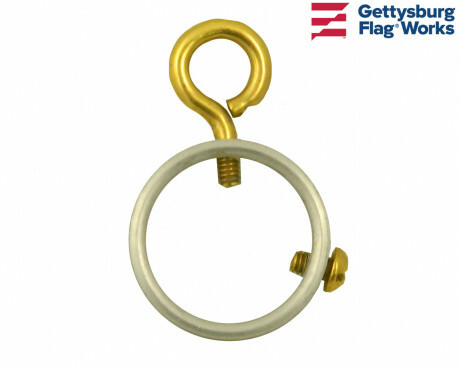 Motorcycle flags mount using our special motorcycle flag bracket to the license plate holder. 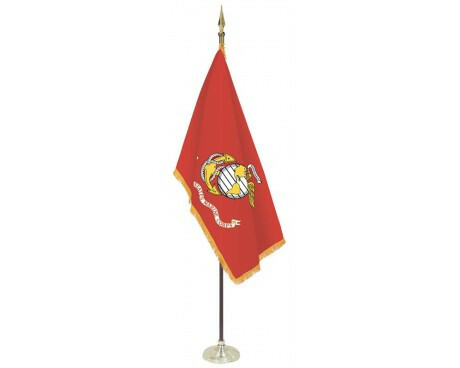 Fringed presentation flags are available in most of our stock designs. 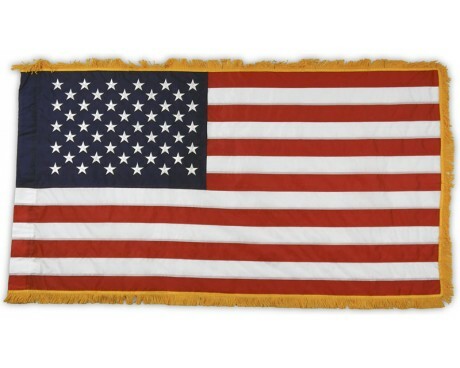 A stunning American flag, state flag or military flag is only the beginning, though. 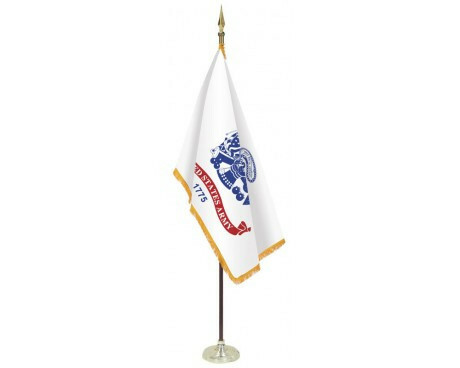 Military parade flags are available for each branch of the service or can be custom made for any unit or veterans agency. 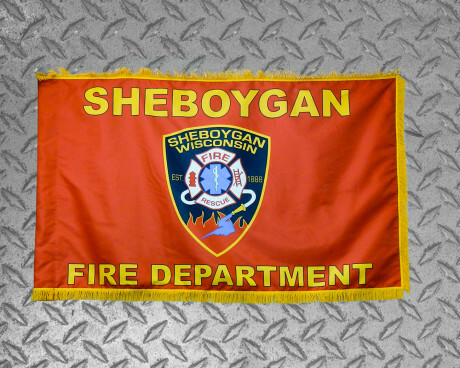 If your unit needs a new flag with your fire department emblem, police patch, or other design, we're here to help. 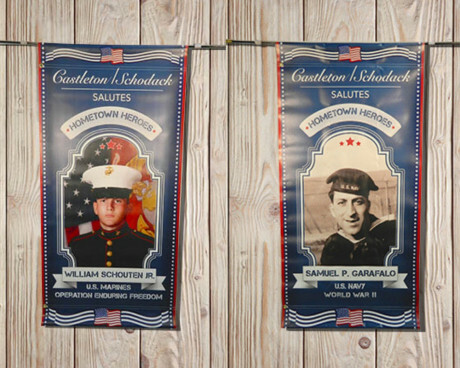 Our custom parade flags are second to none! 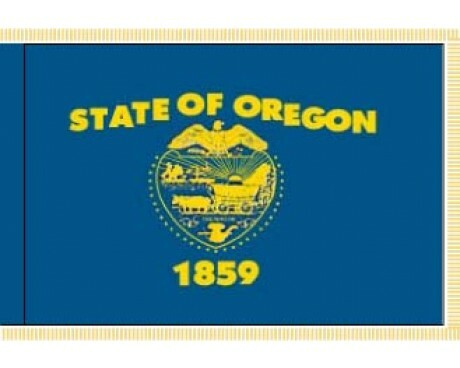 Check out our selection of custom flag options here. 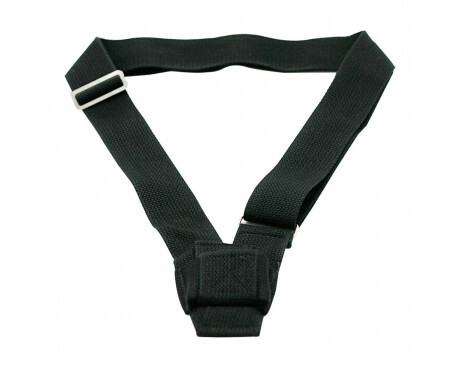 If all you need is the hardware and shoulder harnesses to round out a beautiful presentation, we're here to help with that too. Our parade flag accessories come in a variety of sizes and materials to match what you've already got, or to create the perfect look for your group. 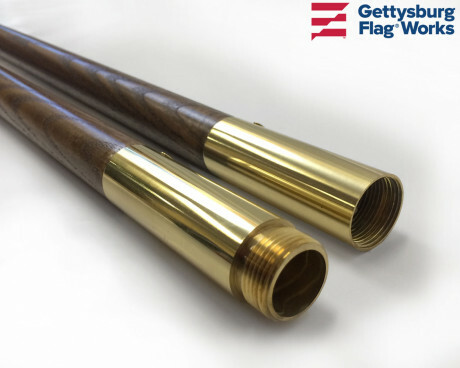 From carry cases and flag belts to hardwood parade poles and gold finials, Gettysburg Flag Works has the flag hardware to make your parade day easy. 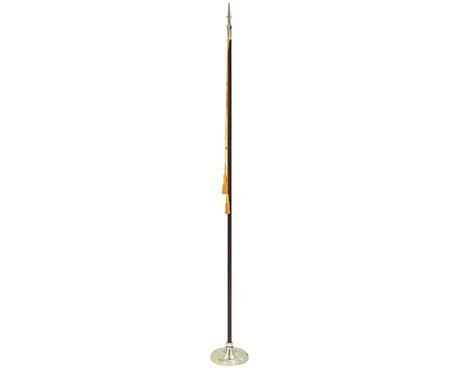 If you'd like assistance in choosing the right banner bar or marching pole setup, just give us a call at 1-888-697-3524 or contact us online. 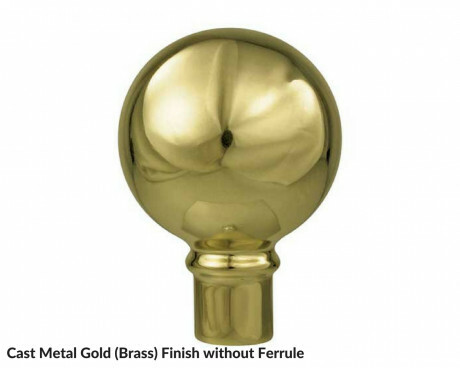 We can help to make sure that all of your hardware fits properly together and will give you the best look on parade day.